For all those of you who loved my Royal Clipper cruise article, now there's an opportunity to go yourself for what could be an all-time-low cost. It might be the best value cruise on the market this winter. For sale dates November 2011 through March 2012, Star Clippers will let you fly from ATL, BWI, BOS, ORD, DFW, IAH, MIA, JFK, EWR, PHL, DCA for free. In addtion, they will give you up to $400 off per person on each cruise. That means you can actually take the full seven day cruise of your dreams starting at just $1,990. You will have to add about $200 for taxes, but that's it. Pick from the Caribbean, British Virgin Islands, Panama or Costa Rica. As I mentioned before, in both of my articles, this cruise is the ideal adventure for anyone who loves gourmet foods, luxurious places to relax, a variety of shore activities and doesn't want to have to pack a boatload of clothes to get dressed for meals each day. It's polo shirt casual all the way, and just a wondeful way to spend a vacation. 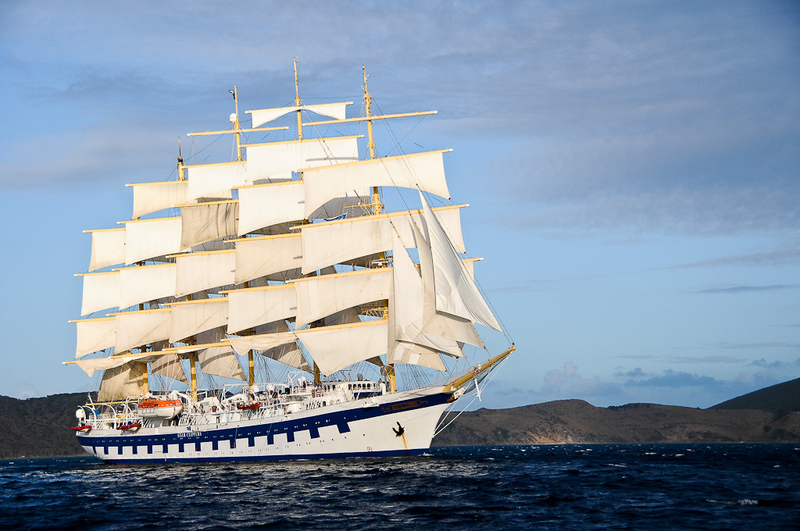 For specifics, check this special link to the Star Clippers sale page.